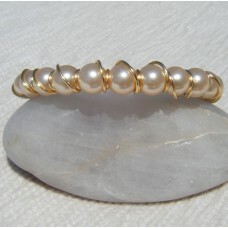 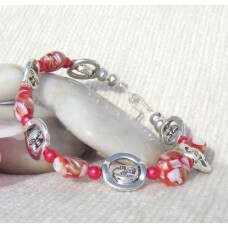 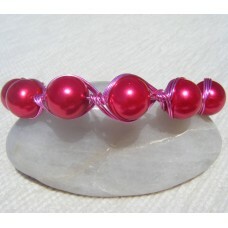 Red mother of pearl flat button beads and happy face beads make up this bracelet. 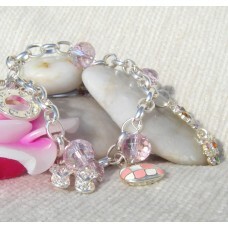 For fun adul..
Bracelet handcrafted in pink plated wire which connects beautiful pink glass beads. 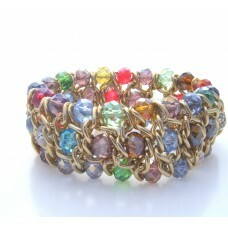 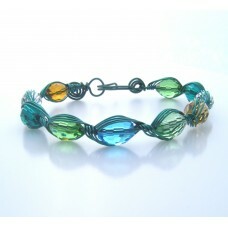 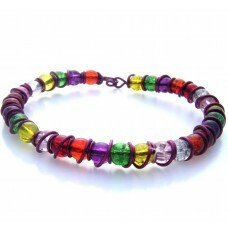 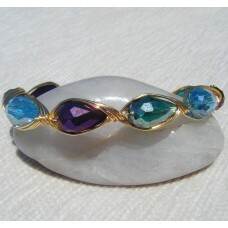 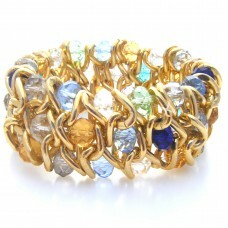 Appro..
Purple coated Wire wraps over the crackle glass multi-coloured beads. 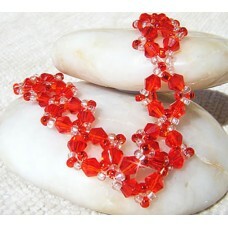 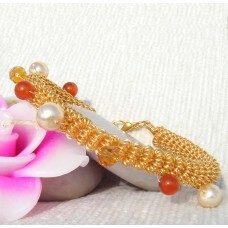 Wire is multi wrapped between ..
Red 4mm Swarovski bicones and clear seed beads in a link pattern bracelet.This appealing bracelet wi..